Modernising the bathroom in your Bristol home can have a tremendous impact on its overall value. Home buyers look for upgrades like larger baths and new fixtures when making a home buying decision. By making this small investment now, you are ensuring a big payoff in the future. Your Bristol home is a valuable commodity, due to the popularity of the city and surrounding neighbourhoods. Each year brings a new influx of residents as terms begin for the local universities, while families seek out homes in Bristol for the booming economy and tranquil setting. All of these factors attribute to a favourable, yet competitive, housing market. 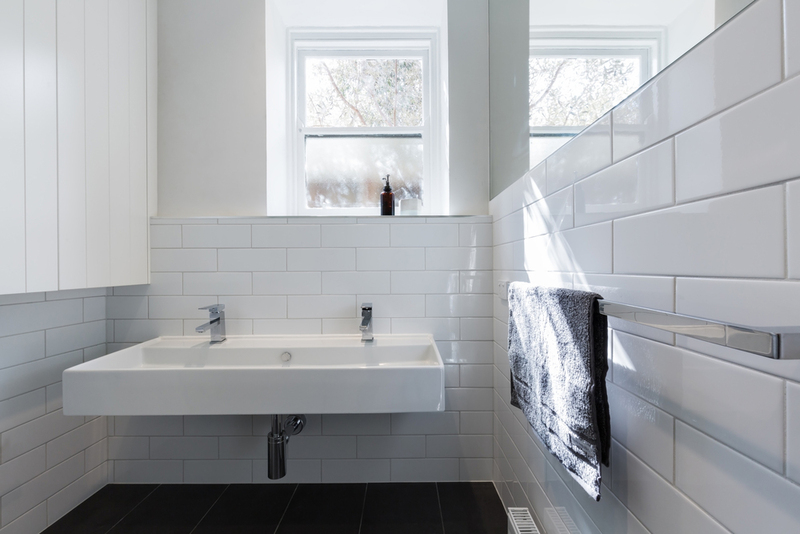 If you want to have an edge over other sellers on your street, you can make your house stand out with a beautiful bathroom renovation. Suburban Bristol neighbourhoods like Fishponds, Stapleton, and St. George are teeming with gorgeous older homes. Yet many of them are in desperate need of plumbing upgrades and fixture modernisation in the bathrooms. Home buyers love the idea of purchasing property with a rich history, but shy away from those that need extensive bathroom work done first. Contrary to what many believe, a bathroom renovation trumps a kitchen make-over when it comes to raising the value of a home. Kitchen renovations are about personal style, where a bathroom renovation is about making sure the space is functional and practical. Uneducated homeowners can go overboard on a bathroom renovation, and negate the increase in home value it can have. Before diving into a bathroom renovation in Bristol, get an idea of your home’s current value based on other similar properties in the area. Then ask a professional to give you a rough estimate of how much that worth will increase from a bathroom upgrade. In order to make that a valuable investment, you don’t want to spend more than what you are expected to gain in the future. Your primary concern, especially if your home is older, is upgrading the plumbing fixtures. This type of project is a necessity that a home buyer will look for. Use a professional Bristol plumber to assess the state of your current pipes and fixtures. They will then be able to provide you with solutions that revamp the bathroom at a budget friendly cost. In order to get the most value out of a bathroom renovation, you cannot go overboard on its design. Keep it classy and simple in order to appeal to more home buyers in the future. Subdued colour schemes and ceramic tiles will give an outdated bathroom a fresh look, without turning off any prospects. You can still add your own personal style in the accessories. By sticking with neutral colours the theme you like can be expressed in the towels, floor mats and countertop containers. What makes this even more appealing is that you can easily make your own changes when the season changes or if you want to be festive during the holidays, without it clashing against the colour scheme in the bathroom. The same is true when making decisions about the fixtures. Stick to functionality over quirky design, as that is what is going to stand the test of time. You may like the idea of an old-fashioned claw foot tub now, but that will be a major expense in the future when your taste changes to something more modern. The bathroom is about getting things done, and then getting out, so you shouldn’t go overboard on quirky designs if you are renovating to increase the value of your home. There are two ways to ensure that you can increase your home’s value with a bathroom renovation. The first way is by working with a professional plumbing company in Bristol. The second is by putting yourself in the shoes of a future buyer when making design choices. Assume that they don’t have your same tastes, and that they don’t have the money or time to invest in a major bathroom renovation of their own. With a reputable plumbing company, and common sense design choices, a bathroom renovation in your Bristol home will pay off for you once it comes to time to sell it. Would My Property Benefit From a Wet Room?